Evergreen Mortuary & Cemetery has been serving the Tucson community since 1974. 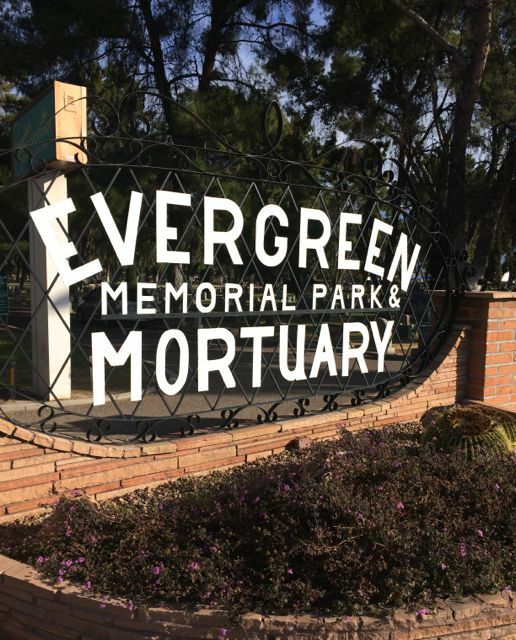 Evergreen Cemetery was founded in 1907, and a considerable number of burials from the main cemetery, located within the town limits as well as Presidio Cemetery, were relocated to Evergreen. Today, the remains of many pioneer from old ranch site and homesteads are re-intered within Evergreen's boundaries.